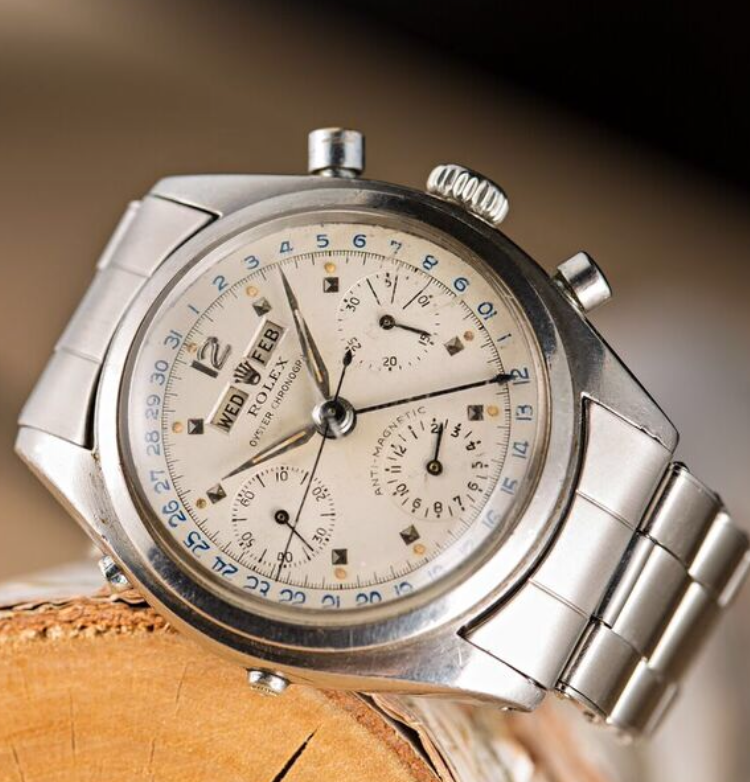 Watch enthusiasts tend to know quite a lot about French skier Jean-Claude Killy. But as random as that sounds, it’s not. That’s because back in the 1960’s, Rolex made Killy a brand ambassador and even nicknamed a watch after him. The rest of us, however, probably don’t remember this man — even though he’s beyond famous in his own rights, and even still sits on the Board of Directors for Rolex. 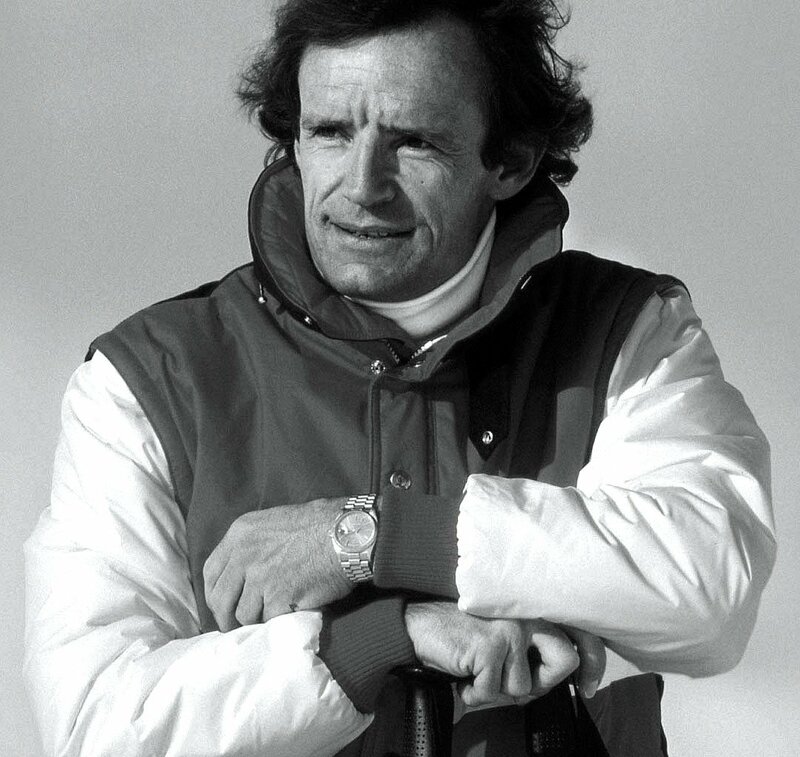 If you don’t know, Killy was a prolific skier in the 1960’s who won the World Cup twice and at the age of 25 snagged the ‘Triple Crown’ — taking home gold in the slalom, giant slalom, and downhill events. Impressive, right? Killy later went on to also compete in race car driving and even acted on the silver screen. Multitalented, the winner of the ‘Triple Crown’, and an elegant man, it was only fitting that Rolex nicknamed their Dato-Compax chronograph after him. 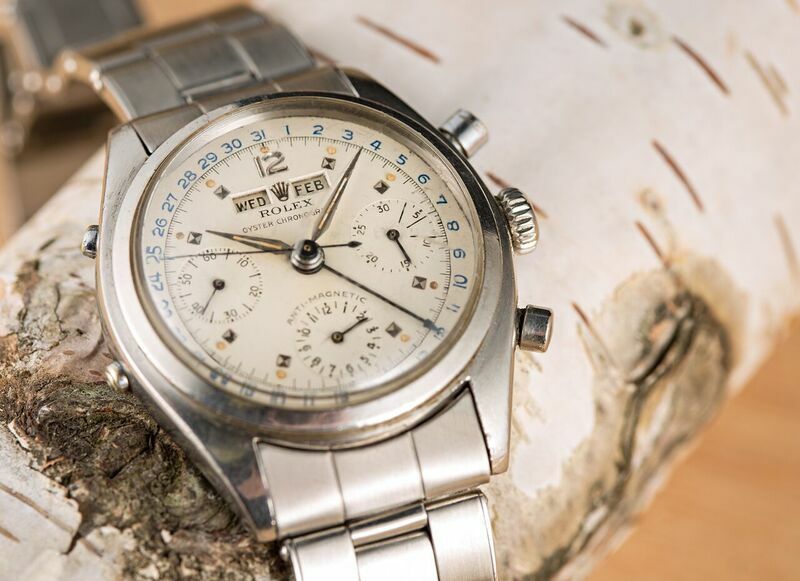 The Dato-Compax Chronograph was in production long before Killy made his mark on the world skiing — as it was produced from the 1940’s to the 1960’s. Despite this, when Rolex set their eyes on him, they knew he was the ambassador of this watch. The watch is famous for its triple-date calendar and three subsidiary dials that sit at 3, 6 and 9 o’clock on the dial. So, is the Killy Rolex an ode to the skiers Triple Crown? Most likely. But, the watches multifunctionality and highly-sought after looks are also a nod to the multi-talented and famously handsome skier. Despite the fact that the Dato-Compax Chronograph was being produced long before Killy’s time, there are still five references that are referred to as the Killy Rolex: the 4768, 4767, 5036, 6036 and the 6236. These watches are amongst the most complicated ever produced by Rolex — making them highly sought after today by collectors. Because of their short production run, these watches are also incredibly rare. Here is a close up of the “Jean-Claude Killy”. Funny enough, while Killy was used for Rolex ads and promotions, there’s actually no photographic evidence of him ever wearing the watch. He was spotted wearing a Day-Date and an Explorer II, though. Today, it’s widely assumed Killy owned his own Dato-Compax Chronograph — why he didn’t wear it or wasn’t photographed with it is unknown. Now, let’s dive into the specs. While each reference number has variations — for example, many have the 31st right above the 12-hour marker, but some of the most rare have day 1 there. These manually wound watches feature a 36mm case, a triple-date calendar, and the three subdials. If you ever have the chance to get your hands on one, grab it. But, make sure you have enough in the bank — as this watch typically sells in the six-figure range.